Up for sale is a beautiful early 1960s English Rogers Constellation Outfit in a stunning "Grey Ripple" finish. 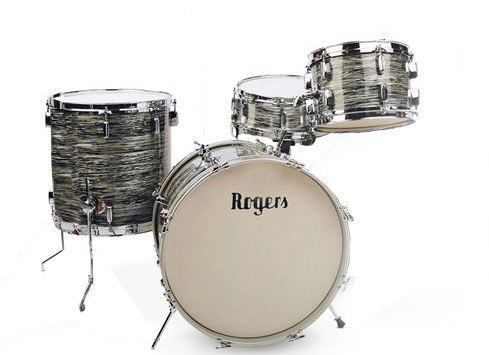 This outfit compromises a 12" x 8" tom 16" x 16" floor tom, 20" x 14" Bass drum and a matching 14" x 5" wooden snare, Swiv O Matic hardware, high quality vertical grain 3ply birch shells with re-rings, Bread & Butter lugs. All in great condition, looks and sounds amazing, sounds great tuned high or low and would suit players and collectors alike. 20" x 14" 12" x 8" 16" x 16" 14" x 5"